First half goals from Mark Duffy and Billy Sharp was rounded off by Matt Done in the second half, and although the Dons put up a brave fight with two goals of their own, a 5-star Blades performance was enough to secure victory against these first time opponents. Blades boss Chris Wilder made just one change from the starting 11 which had won at Gillingham the previous week, with on-loan Wolves defender Ethan Ebanks-Landell making his full debut in place of Wilson. Wimbledon fielded two former Blades among their squad, scorer Dominic Poleon and substitute Lyle Taylor was in Neal Ardley's squad selection. The conditions at the Cherry Records Stadium were not fantastic for the Blades first ever visit; battling against wet weather the early exchanges saw the hosts create most of the opportunities in front of goal. Barnett failed to take advantage when a ball into the box saw Ebanks-Landell slip on the surface as his header dropped wide of the mark. From a throwing, Barnett then volleyed over the top. It took some time for the visitors to spring an attack on their opponents. They had to wait until 20 minutes into the game, and their first chance proved to be fruitful, Freeman's pass, by the aid of a slipping defender reached DUFFY, who turned his marker to slot home past Clarke for his first goal in a United shirt. United doubled their advantage six minutes later. Lafferty's pass down the flank put Done into play, and his accrete cross was headed home by SHARP. Barnett again was off target when he headed wide from a Francomb corner as the home side looked to get back into the game following that double blow. With 7 minutes of the first half remaining the hosts reduced the arrears when a challenge involving Freeman and Barcham saw the Dons player end up with possssion, and his near post cross was headed home by POLEON. Wimbledon searched for an equaliser late in the half but despite being put under pressure, the United defence stood firm. The second half saw John Fleck replace Basham at the break, and the early halves play saw United create two chances in as many minutes. Duffy looked to double his tally of the day with both opportunities, firstly he fired over from 25 yards out and then following a passing movement involving Freeman, Done and Sharp, the former Birmingham man clipped his effort wide. Done saw two more opportunities too, on 51 and 54 minutes. Clarke pushed away his half-volley, and having done well to round the keeper, he was unable to finish off from a tight angle. Barchum forced Moore into a save at the other end. Soon afterwards, on 60 minutes, the Blades extended their lead to three goals to one. Fleck's through ball whose timed run found DONE, who this time had no trouble in beating keeper Clarke. Leon Clarke replaced Sharp as O'Connell took the armband for the final 25 minutes. The hosts changed their tactics and made the final minutes difficult to contend with for United. On 72 minutes a Coutts foul on Taylor handed the hosts a free-kick, and the well-worked delivery from Parrett, clipped over the wall and into the path of an unmarked ELLIOTT to slot home at the far post. Taylor volleyed wide from Elliott's knockdown and the home side launched a number of throw-ins into the box but were defended well by the United back four. Five minutes of injury time gave the home faithful a glimmer of hope as they continued to bombard the United defence, but Moore remained untested and the Blades made it to the sound of the referee's final whistle with ease. AFC Wimbledon: Clarke, Fuller, Meades, Robinson, Francomb (Whelpdale 80), Reeves, Barcham, Parrett, Barnett (Elliott 64), Charles (Taylor 64), Poleon. Unused: Shea, Bulman, Beere, Kelly. 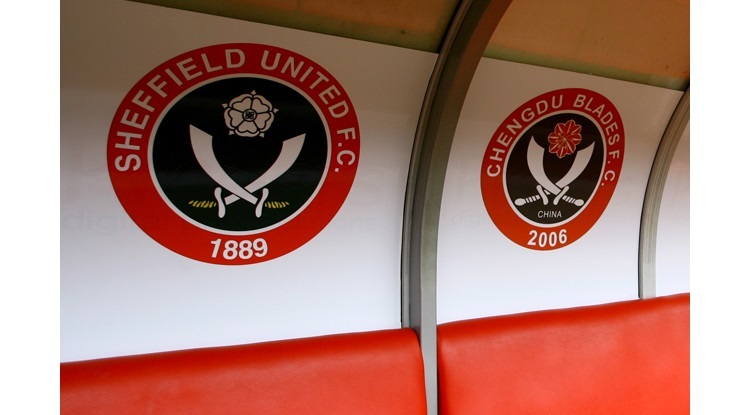 Sheffield United: Moore, O'Connell, Basham (Fleck 45), Sharp (Clarke 64), Done (Scougall 80), Wright, Coutts, Freeman, Ebanks-Landell, Duffy, Lafferty. Unused: Hussey, Ramsdale, Wilson, Chapman.